Best Buy overnight revealed its Black Friday deals, which include a slew of tech products from vendors such as Apple, Microsoft, Dell and Samsung. A handful of deals are already live, too. Black Friday previews have been leaked fast and furious this week, with Target, Sears, Kohl's and Staples being among others that have shared their sales news (or had their news shared by websites such as BFads, BlackFriday.com and BestBlackFriday.com). You'll need to wait on other deals until Thanksgiving and Black Friday. For Apple fanboys and fangirls, Best Buy will knock $100 off of Apple Watches regularly priced at $350 to $700. Just make sure that if you're buying one of these for a gift that the recipient has an iPhone 5 or newer, since they'll want to sync up the two devices. On the higher end, Best Buy is knocking $150 off the price of a MacBook Pro laptop with 13.3-inch display, so that you can snag one for $900. Powered by an Intel i5 quad-core processor, this machine boasts 4GB of RAM and a 500GB hard drive. We didn't spot any iPhones in the Black Friday ad. It's not all about Apple anyway, of course. Best Buy's deals include Samsung Galaxy Note 5 phablets for $50. That's $200 off the usual price, though note that the deal does require 2-year service activation with Sprint or Verizon. Best Buy is slicing $20 to $50 off Fitbits, so they will cost between $40 and $200. 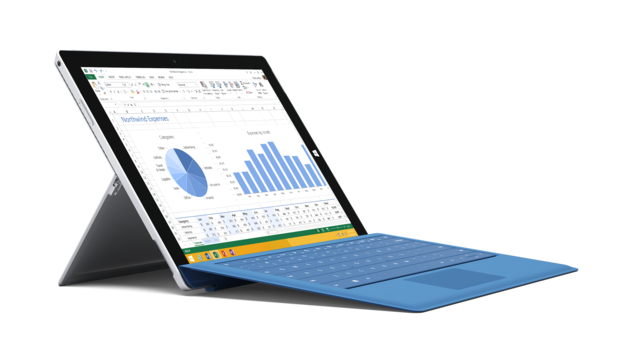 Microsoft Surface Pro 3 tablets (without keyboards) will be $300 less than the usual $1,300 to $1,550 price. Best Buy is axing the price of Logitech keyboards for certain Samsung Android tablets by 40%. Laptops from vendors such as HP, Lenovo and Acer will be available at prices between $70 and $250 less than usual. This includes an HP Spectre 2-in-1 touchscreen laptop with 13.3-inch display for $970 rather than $1,170: Perfect for fans of the latest James Bond movie!